Call us their fairy godmothers! 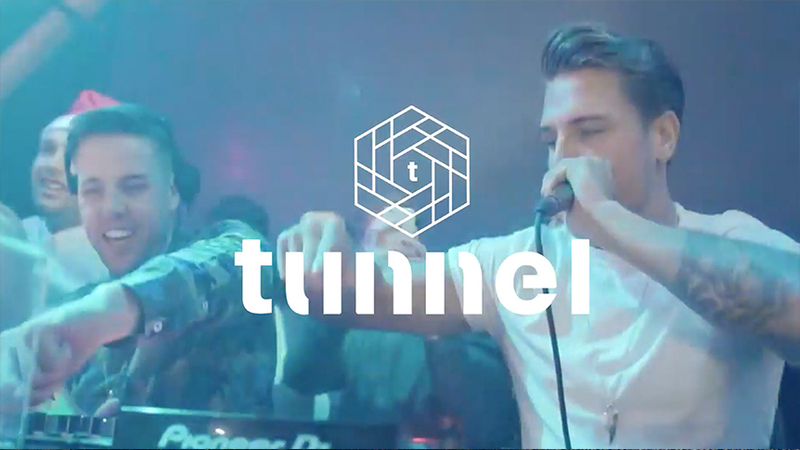 Tunnel is a well-known Leeds nightclub brought to you by the people behind Mission and Fibre. As a regular host for a number of popular events, we were thrilled when Tunnel sought us out to help with some of their marketing and design work. Keeping a brand fresh is a big part of making sure you don’t fall behind other competitors in the market, and this is exactly why we aim to impress with every new project we are handed. I mean, a tortoise without his shell would look quite bizarre, don’t you think? Well we believe the same applies for a business without any branding, crazy! The team at Tunnel asked us to design them a brand new Snapchat filter, that would be cool and edgy. Our designers opted for an abstract, geometric print, in a translucent lilac shade, which covers the ‘snap’ at the bottom and top. The geometric style mirrors the branding which allowed for a consistent feel, and ensured the design was recognisable to Tunnel regulars. Our clients admitted this was the perfect filter for the nightclub, and they were thoroughly impressed. Following the succession of the Snapchat filter, Tunnel approached us once again, this time wishing for a video to promote their special offers in-house. Call us their fairy godmothers, because we granted their wish come true, thus delighting our clients once more. Our team created a 35 second video which comprised snippets of footage from previous nights at the club, capturing the party inside. We fluctuated between coloured and black and white shots, whilst highlighting the special offers in the familiar geometric style, this time in a coral blue.